﻿ Best Price on Acoya Curacao Resort, Villas & Spa in Willemstad + Reviews! Have a question for Acoya Curacao Resort, Villas & Spa? Nestled in the heart of Marie Pampoen, ACOYA Hotel Suites and Villas is an ideal spot from which to discover Willemstad. From here, guests can enjoy easy access to all that the lively city has to offer. With its convenient location, the hotel offers easy access to the city's must-see destinations. Offering hotel guests superior services and a broad range of amenities, ACOYA Hotel Suites and Villas is committed to ensuring that your stay is as comfortable as possible. Free Wi-Fi in all rooms, 24-hour front desk, Wi-Fi in public areas, car park, restaurant are just a few of the facilities that set ACOYA Hotel Suites and Villas apart from other hotels in the city. In addition, all guestrooms feature a variety of comforts. 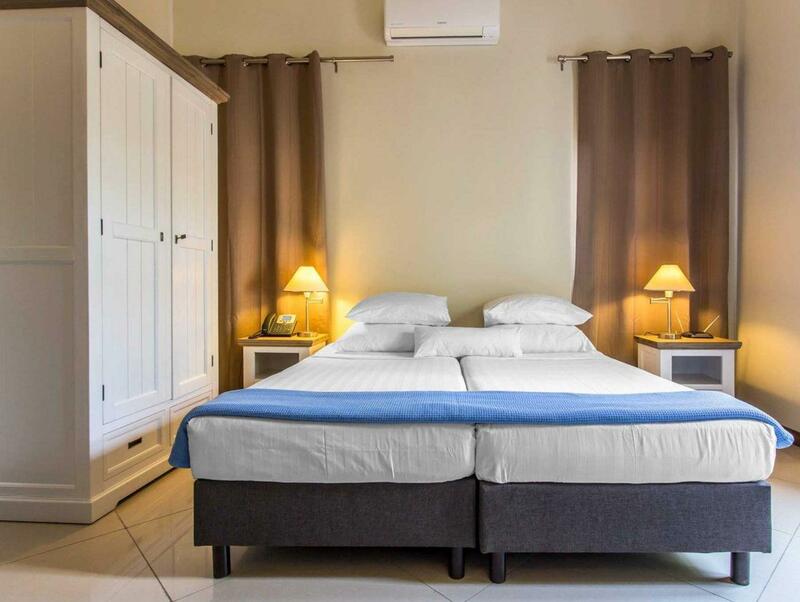 Many rooms even provide television LCD/plasma screen, private pool, air conditioning, balcony/terrace, telephone to please the most discerning guest. The complete list of recreational facilities is available at the hotel, including fitness center, outdoor pool, spa. Whatever your purpose of visit, ACOYA Hotel Suites and Villas is an excellent choice for your stay in Willemstad.